Full of flavour and naturally tender, a half leg of lamb is the perfect centrepiece for a family dinner - an easy joint to carve with a high portion of lean meat. 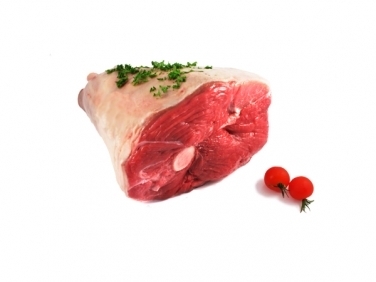 Naturally reared, our lamb is dry aged and matured, resulting in a proper Sunday roast filled with flavour. Place some rosemary in the roasting dish and enjoy the aromas in your kitchen. Some people prefer the shank end which contains the bone. Let us know if you would like the shank end or the fillet end.